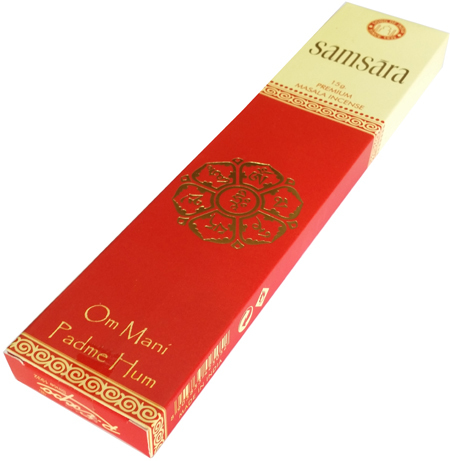 Incense Masala Samsara Incense Sticks. The chanting of "Om Mani Padme Hum" invokes the powerfull blessing of Chenresig, the embodiment of compassion. The six syllables of the mantra mean that by practicing a path that is an invisible union of method and wisdom, we can transform our impure body, speech, and mind into the pure exalted body, speech, and mind of a Buddha. It helps us develop the love and compassion to make our life full of meaning.